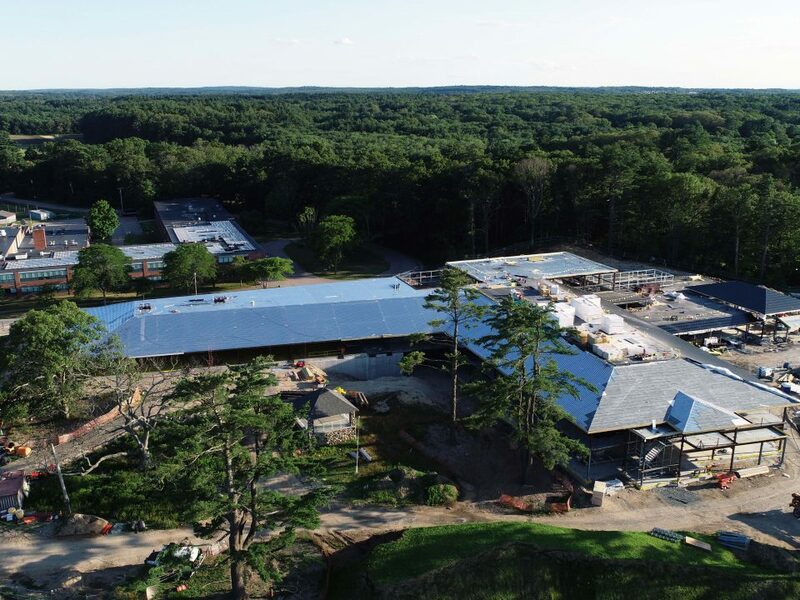 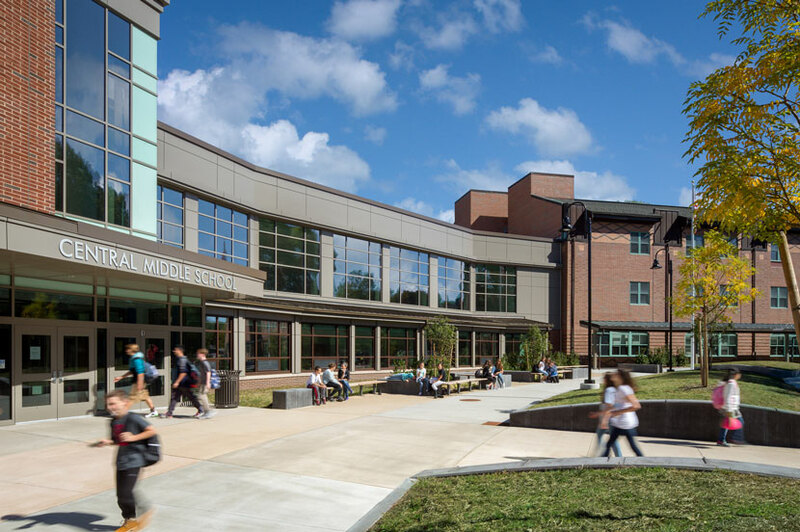 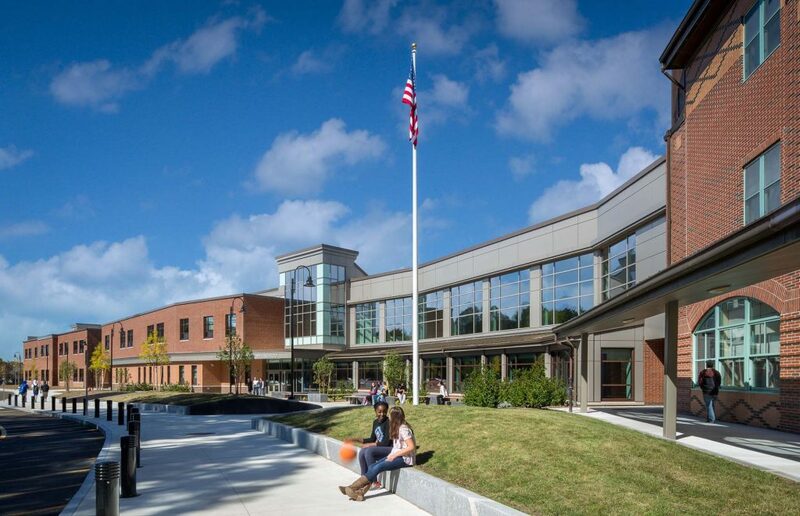 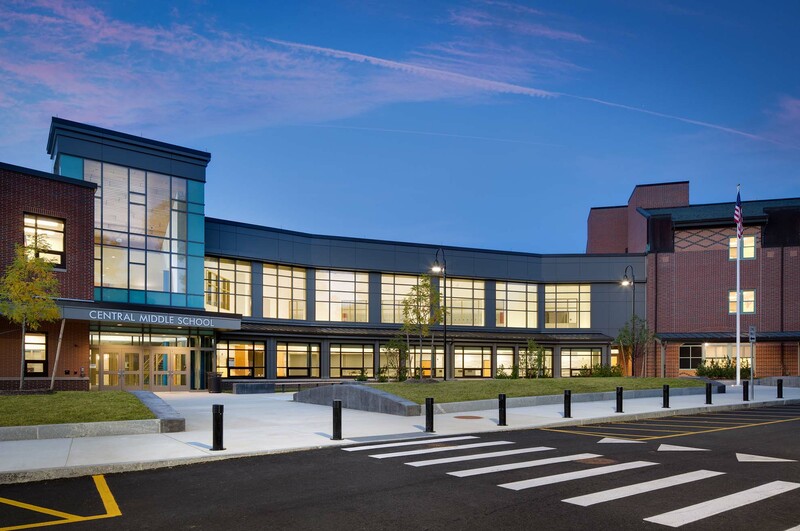 The new Stoneham Central Middle School is a 136,400 sqft school addition / renovation project. 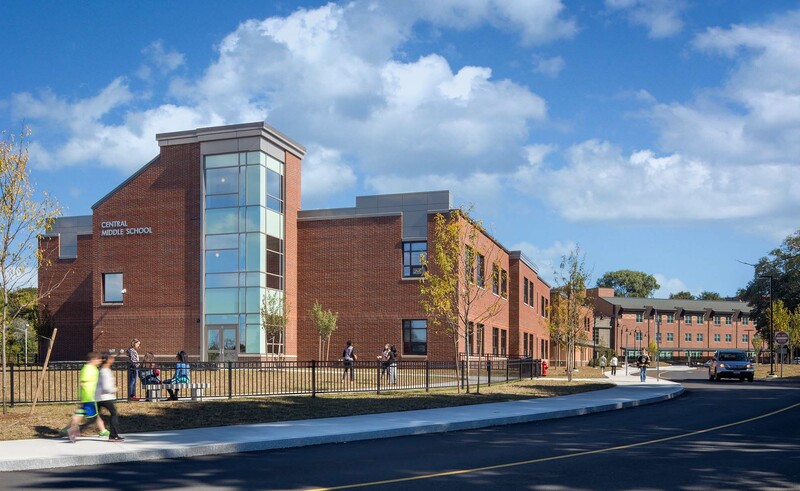 The original elementary school was expanded and renovated to become the new middle school for grades 5-8. 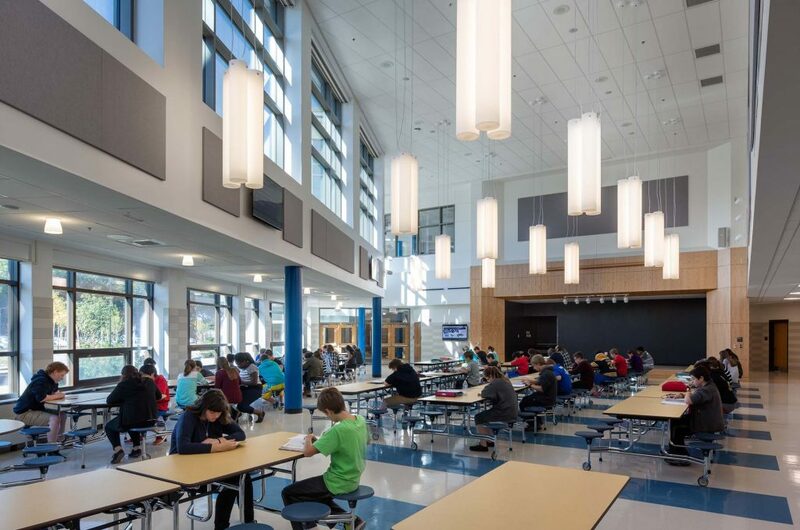 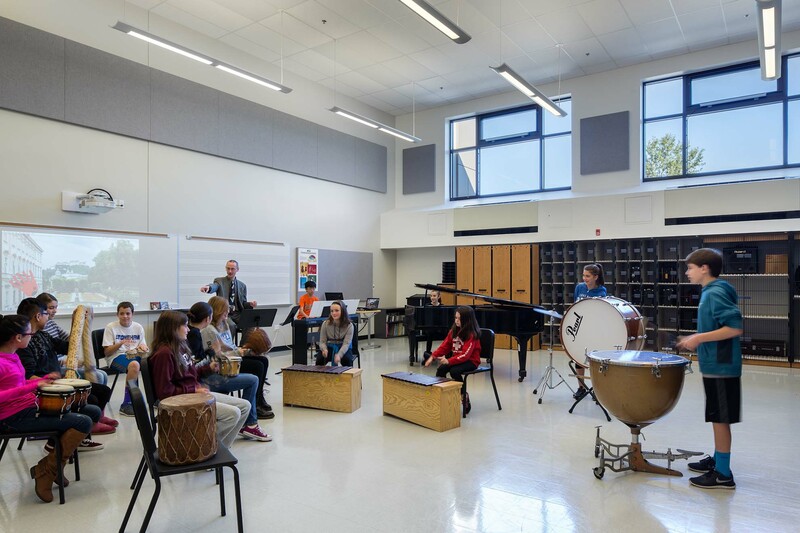 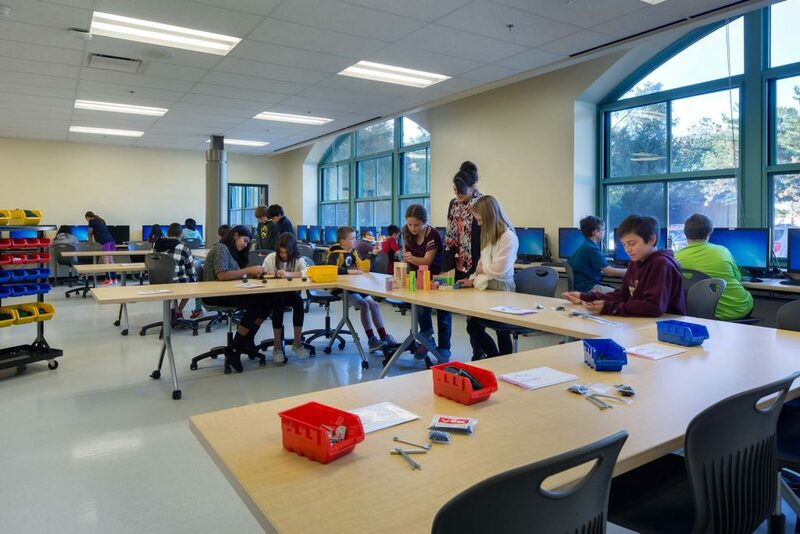 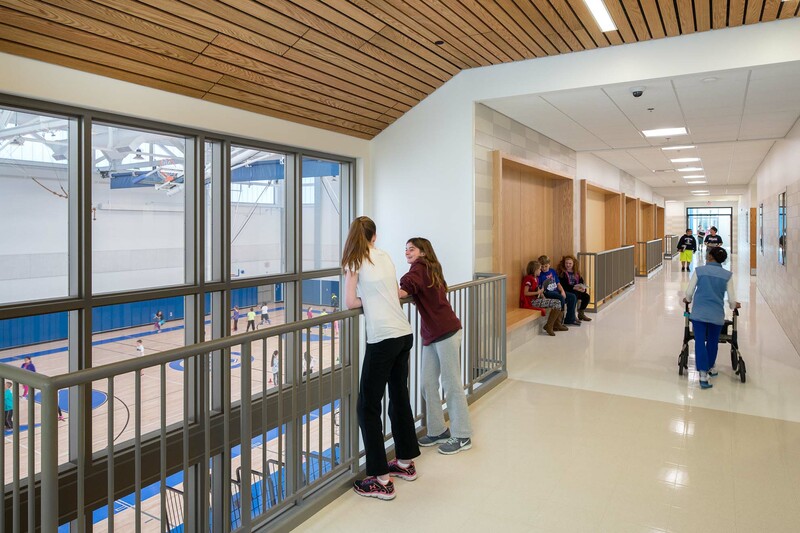 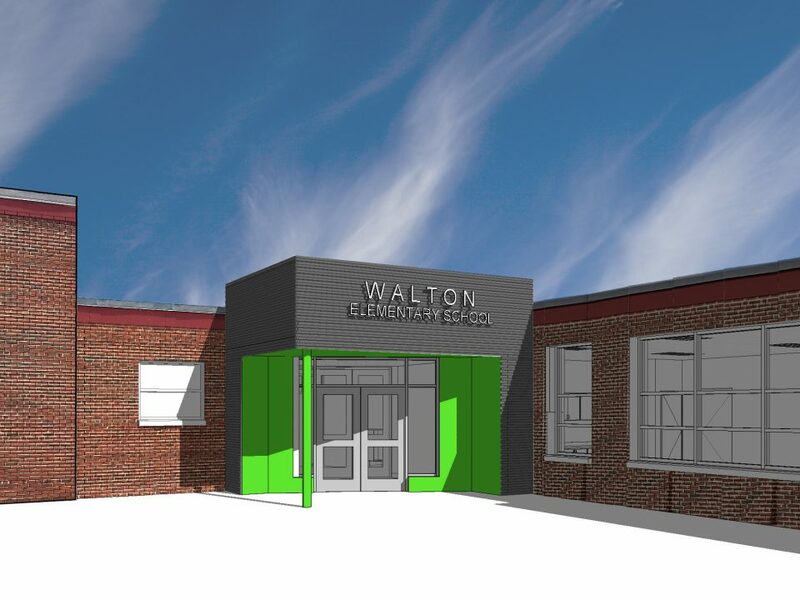 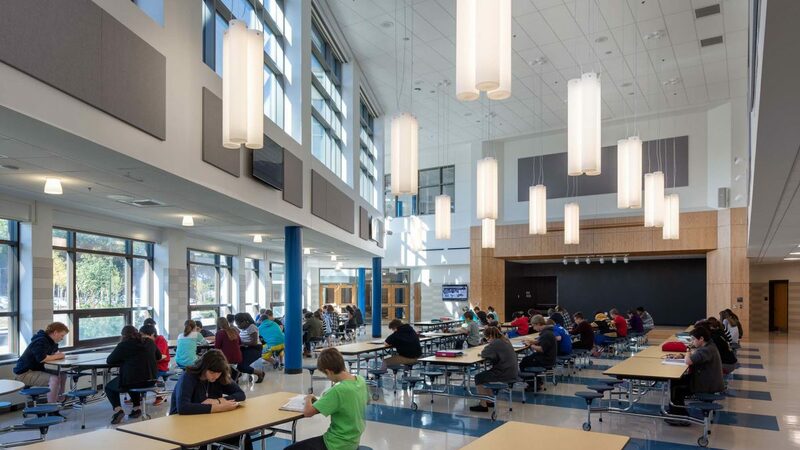 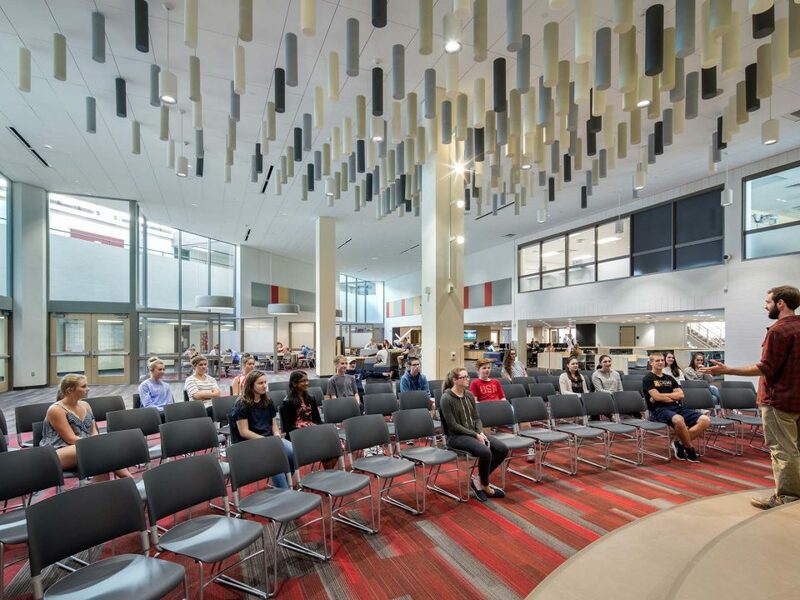 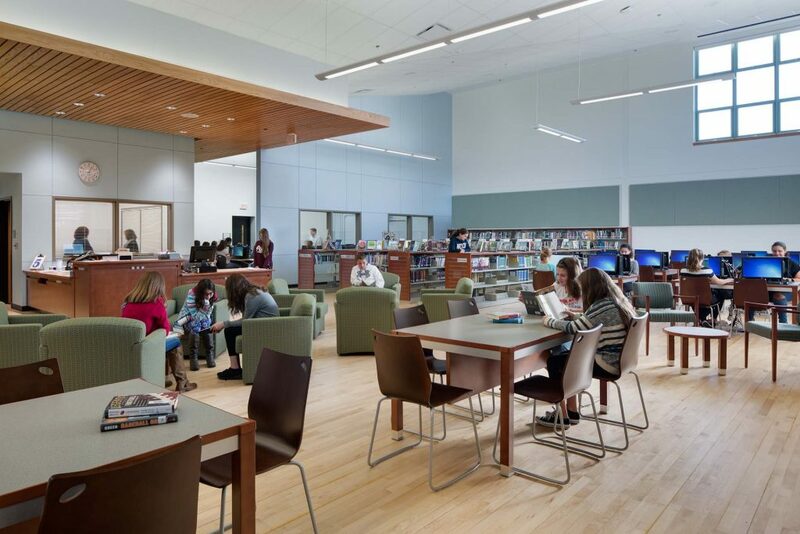 The design adapted several existing spaces, such as the school gym, into a contemporary Media Center, and reconfigured the old cafeteria to accommodate 21st-century STEM and music instruction. 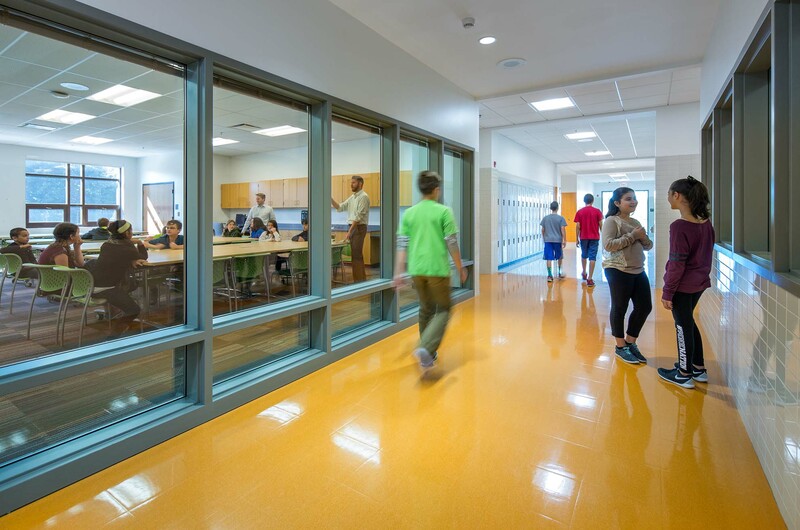 The bustling pedestrian plaza leads through the glassy front main façade into soaring and colorful café and circulation spaces.